“Thriving” doesn’t quite capture the energy exuded by this appropriately-named district. 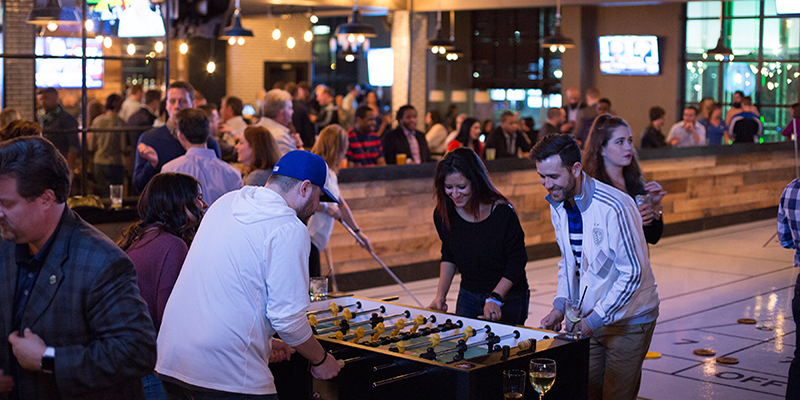 Located in the heart of Downtown Kansas City, Kansas City Power & Light District generates buzz all across town with citywide watch parties, huge concerts and terrific food. Get plugged in. 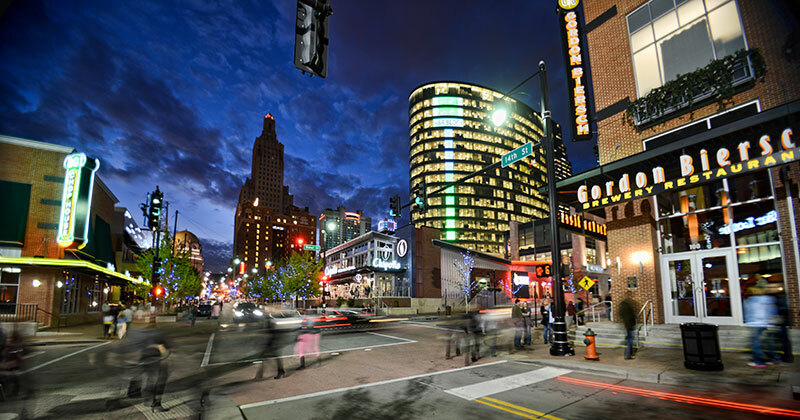 Home to more than 50 bars, restaurants and shops, the Kansas City Power & Light District is an eight-block entertainment hub unlike any other in town. KC Live!—the district’s covered outdoor courtyard—hosts more than 150 free events each year. 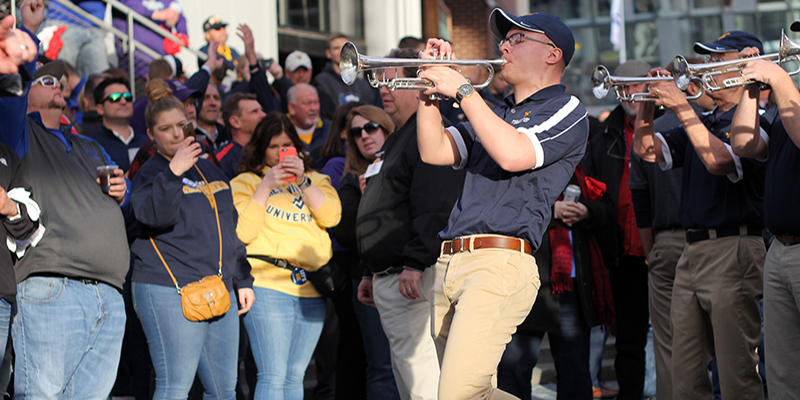 Fans gather here to cheer on their favorite squads, be it the Kansas City Royals, Kansas City Chiefs, Sporting Kansas City or one of the many teams playing in the Big 12 Men's Basketball Championship. Across the street you’ll find one of the country’s busiest arenas, the glittering Sprint Center. Theater is well represented here too, as shown by the many marquees lighting up the night. Take your movie-watching to the next level at Alamo Drafthouse, a modern cinema that serves food and drinks during screenings, plus features unique touches like quote-along shows and in-theatre pyrotechnics. 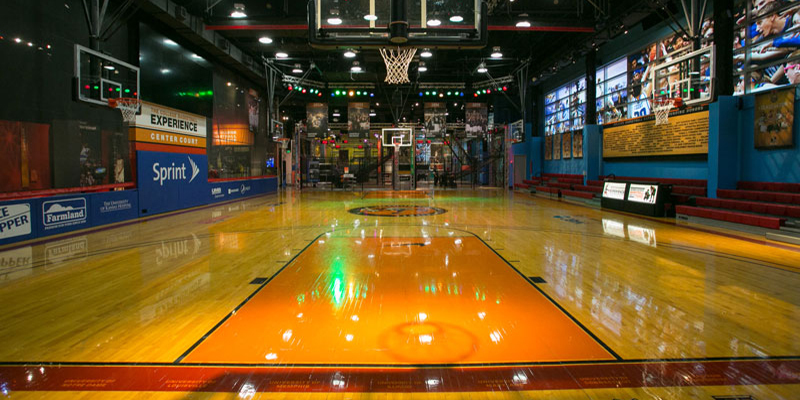 Test your skills at The College Basketball Experience, a hands-on hoops haven. First Wednesdays in the summer months means Urbana KC, where a section of 14th Street transforms into a citywide block party, complete with live music and art displays, as well as great food and drinks. 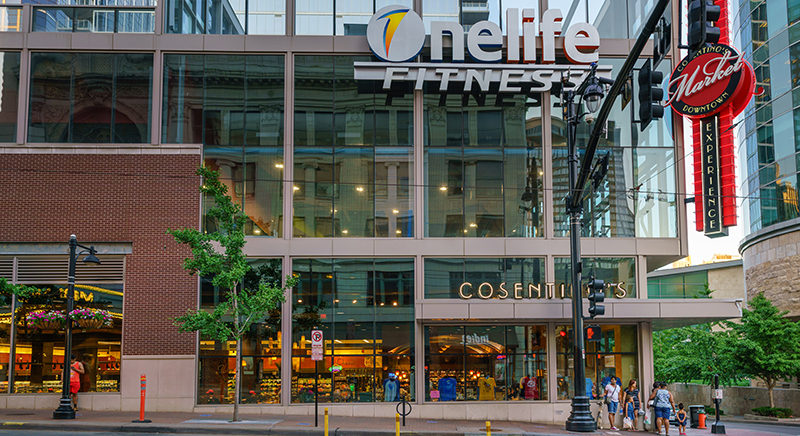 One street over from KC Live!, you’ll find The Garment District, a fashion collective with eight stores in one, complete with a full-service bar in the center. Locals love this boutique for its wide assortment of KC-made clothing brands. Make your way to Rally House to stock up on all your sports fandom needs before the big game. Before your big night out, drop in to Polished Nail Salon or Zafar Salon, Spa & Boutique for a relaxing, deep-tissue massage and a haircut. Cosentino’s Downtown Market has you covered in a pinch thanks to its full grocery, liquor selection and quick-service dining options. 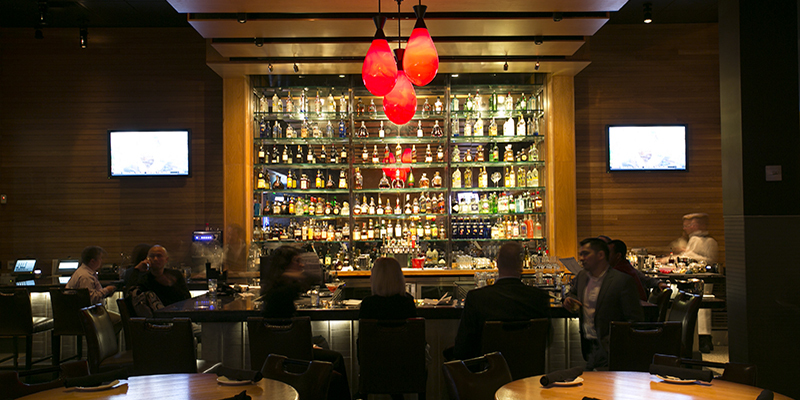 This nightlife district isn’t just about bar bites. Discerning diners enjoy Bristol—a KC institution where the seafood is flown in daily—while The Mixx attracts health-conscious professionals looking for fast-casual soups, salads and sandwiches. Meanwhile, County Road Ice House dishes out delicious options fueled by Joe's Kansas City Bar-B-Que—a KC classic. Burger enthusiasts congregate at BRGR Kitchen + Bar for imaginative burger creations as big as they are delicious. 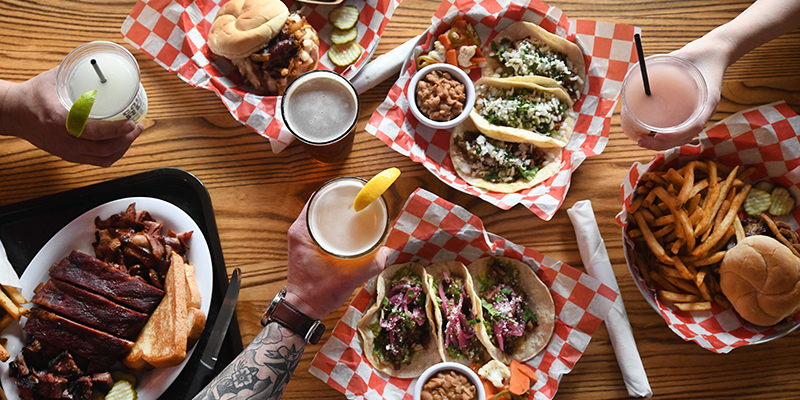 No Other Pub, a Sporting Kansas City-themed eatery, bar and game parlor, dishes out street tacos and other shareable snacks for the city’s soccer fans. For breakfast, head to Meshuggah Bagels for authentic sandwiches, schmears, bagels and more.